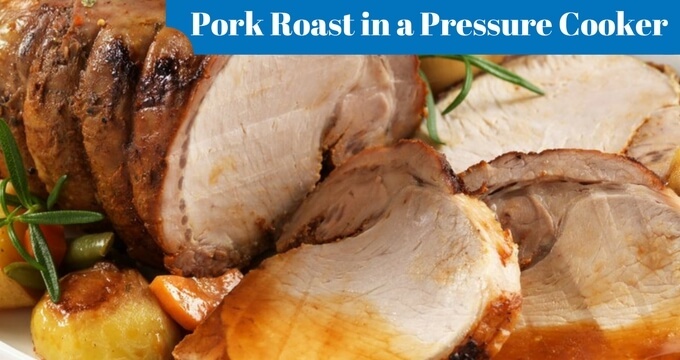 We give you different recipes on how to make a pork roast in a pressure cooker so you have plenty of choices for any type of occasion! 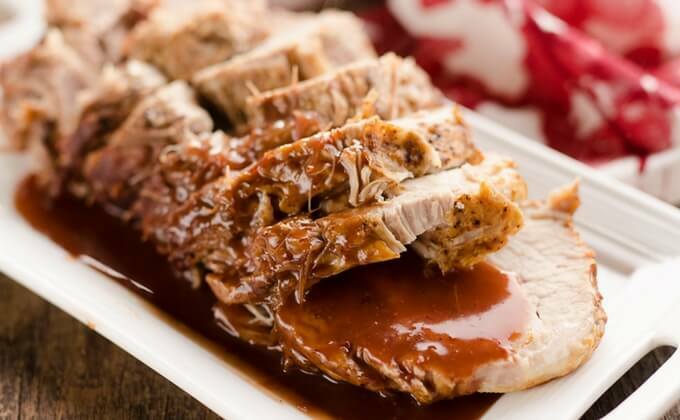 Making a pork roast is a great way to tell our family how much we love them. Have a great dinner surrounded by your loved ones. We give you different recipes and ways to cook the pork, so you can get all the chances to get together and get some quality time with your favorite people! 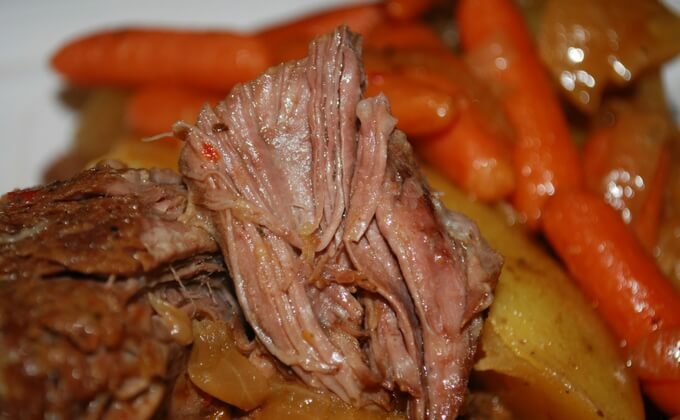 Pressure Cooker Pork Pot Roast. Tender pot roasted pork – ready in a few hours, thanks to the pressure cooker. Season and sear the roast: Cut the pork shoulder roast in half, then sprinkle with 1 ½ teaspoons salt and ½ teaspoon fresh ground black pepper. Heat 1 teaspoon of vegetable oil over medium-high heat until shimmering. (Here is when the “Sauté” mode comes handy, put it on high in) Start to sear the pork roast one piece at a time. For each piece, you need to sear both sides until it is well browned, is going to take around four minutes each side. After searing, place the pork in a bowl and let it rest to keep going with the other parts of the recipe. Sauté the aromatics: Now is when you put the garlic and the onions into the pot, sprinkle them with the thyme and coriander, and sauté, stirring and scraping the browned pork bits from the bottom of the pan. Sauté as long it is needed so you get the onion softens, is going to take around five min. Then pour in the hard cider, bring to a simmer, and simmer for 1 minute to boil off some of the alcohol. Everything in the pot: Now is when things get interesting!. Include the pork into the pot, and pour in any juices in the bowl. Add the diced tomatoes, carrots, and sliced apple on top of the pork. Pressure cook the pot roast for 50 minutes with a natural pressure release: Lock the pressure cooker lid and cook at high pressure for 50 minutes in an electric PC or 45 minutes in a stovetop PC. Let the pressure come down by itself, Is going to take around 2o more minutes. Defat the sauce, carve the roast, and serve: Carefully move the pieces of pork to a carving board with tongs or a slotted spoon and maybe both since the pork is going to be extra tender at that moment. Then scoop the vegetables into a serving bowl with a slotted spoon. Pour the remaining liquid in the pot into a fat separator. Carve the roast, cutting it against the grain into ½” thick slices. Sprinkle some salt over the sliced roast, then pour a little of the defatted sauce over it. Serve, passing the rest of the sauce and the vegetables on the side. Score the top of your pork roast. Season with all dry seasonings. Stuff the roast with 1/2 onion and all garlic. Add oil to the pressure cooker and turn to sear. When is hot, sear roast on the top side (fat side) first for about 3 minutes. Flip and sear for another 3 more minutes on the bottom. Sprinkle the remaining onion over the roast. In a small bowl, then blend the two packets of brown gravy mix with the two cups of water. And then pour this mixture over the roast. Cook on High pressure for 3 hours. 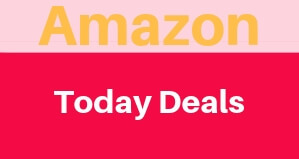 Personally, I like to cook my roast in 60-minute intervals with a 5 minute NPR (the small no pressure release lets some steam escape and we aren’t splattered with hot gravy!) By cooking in shorter intervals, I’m able to adjust the time to my size roast and be sure that the gravy has adequate seasoning during cook time. If the roast is not falling apart tender after 3 hours, cook on high pressure in 20-minute intervals with the manual release until the meat is tender. TIP: If you’ve ever made a pork roast and at the end it was tough, the problem most of the time is that you didn’t cook it for enough time. The longer you cook a pork roast, the more tender it will be. If you are using the oven or a crockpot, give it at least 12 hours of cook. And if is on the pressure cooker, you can go up to 4 hours depending on how large the cut is. Season the pork with salt and pepper. Turn the Instant Pot on the “Sauté” mode, and add butter and melt. Then put the pork loin and sear the sides of the pork loin until you get a nice golden brown. After that add the garlic and onions and cook it until is soft, is going to take around 2 minutes. 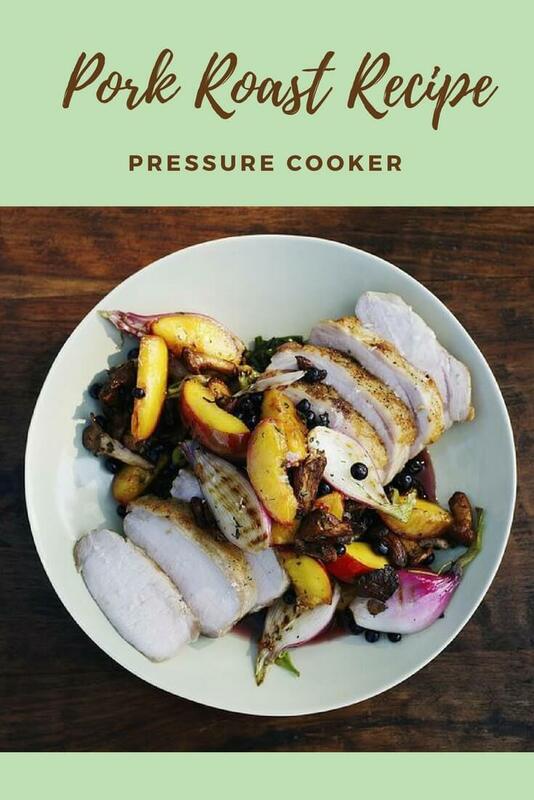 Close the lid, set to high pressure, and after the pressure cooker reaches full pressure, cook for 15-30 minutes *depending on size & preferred doneness. you will need to Press “Cancel” to stop the “Sauté” mode and then press the “Manual” button and set the timer for 15 minutes. Once the cooking time is done, press “Cancel” and carefully release the pressure. If possible, check the internal temperature of the pork loin (it should be about 145°F). Tip: If you are not sure on how much time you need to cook your particular roast, cook the pork loin until it reaches an internal temperature of 145°F on its thickest part. The higher the temperature, the drier the loin will be, so don’t go past 145°F while in the oven too much if possible. You can also use a slow cooker to make this recipe and if your machine comes with the sear or saute function like the Instant Pot that can be a great help! We pick the best recipes from the internet both pages and videos so you have even more options when you want to make a great pork roast for your loved ones! 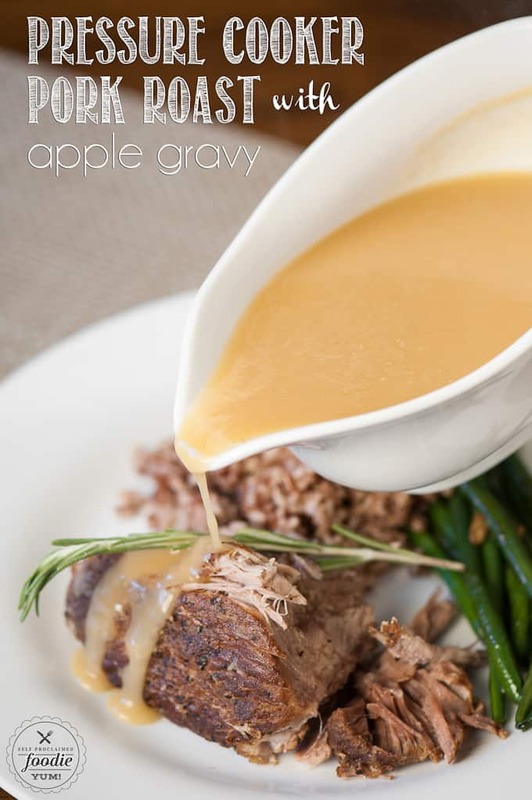 Try this recipe that is going to take around 1 hour and 50 min to have it ready and enjoy a healthy Pressure Cooker Pork Roast with Apple Gravy for a perfect fall dinner. 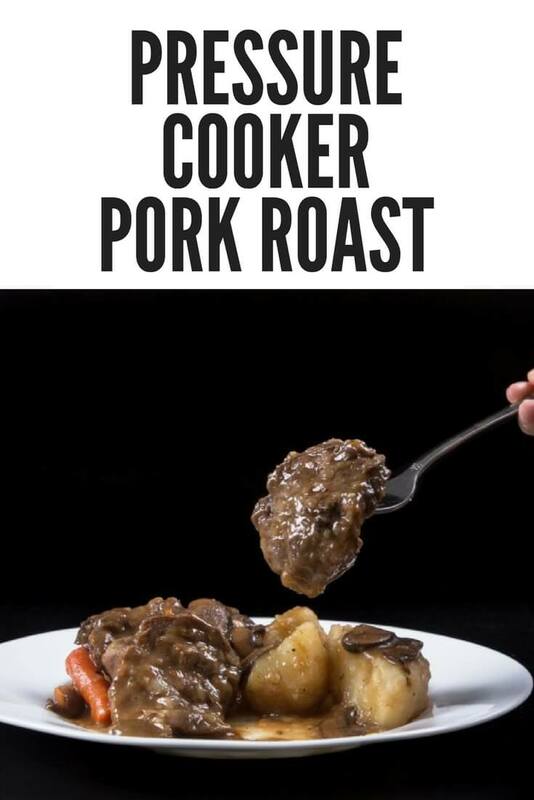 Another 60-Minute Pressure Cooker Pork Roast Recipe (Instant Pot Pork Roast)! 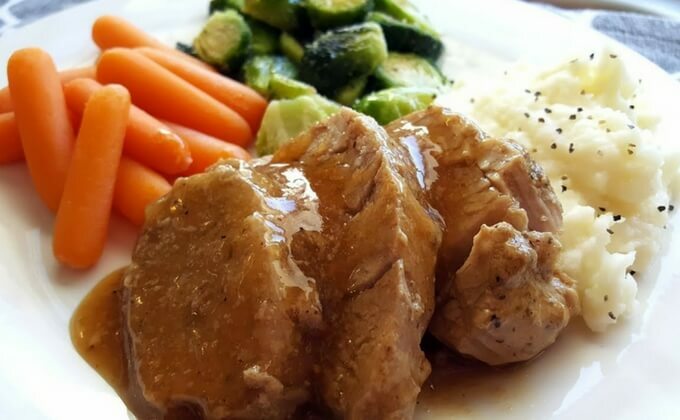 This tender & flavorful Instant Pot Pork Roast is so comforting & satisfying to eat. Simple & budget-friendly weeknight meal. And that’s it for now! 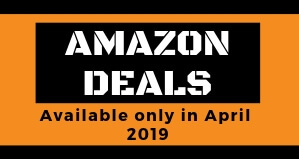 Let us know what do you think about all the recipes and if you have a favorite one let us know so we add it to the list!